Happy Monday! I hope you all had a wonderful weekend! My husband and I were kid free for over 24 hours this weekend and it so weird to have some time for ourselves! We definitely enjoyed going to a Christmas party, staying up past our bedtime, a gym date, brunch, a little shopping, and some housekeeping together. Cleaning the house actually isn't as terrible when you don't have little people at home destroying it as you clean it, lol. On Sunday, we hosted my husband's family for an early Christmas get together since we will be headed out of town super early on Christmas morning for Disney! Woo hoo! 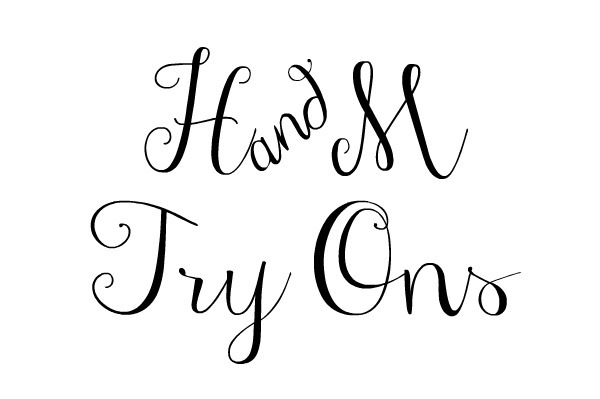 Today, I'm sharing a try on session at H&M for the first time! I often shop at H&M online but I rarely go in the store because it's inside the mall. I hardly ever go to the mall because crowds are not my favorite! I prefer to shop on my comfortable couch with a cup of something super delicious and my pajamas. Anyone else the same way?! Online shopping is the best! 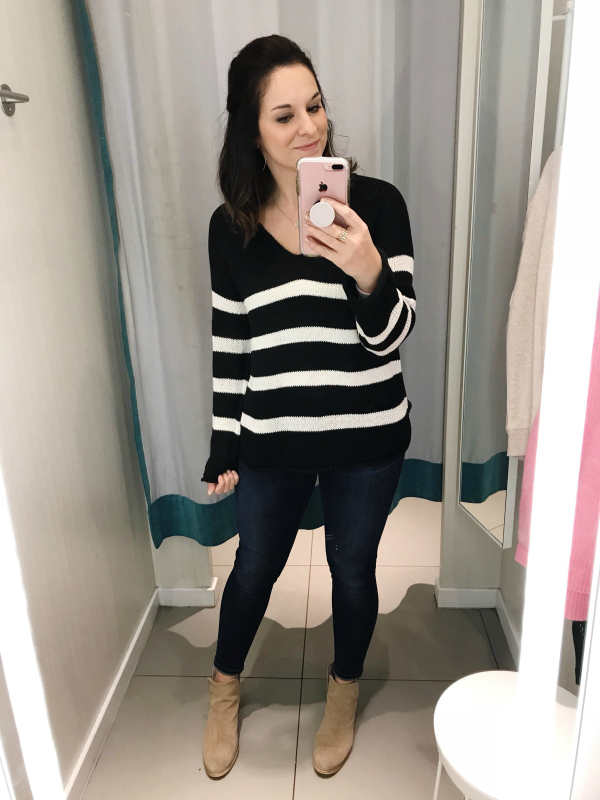 This sweater was one of my favorite items that I tried on for this week's try on session! The love the loose knit and the bold stripes. 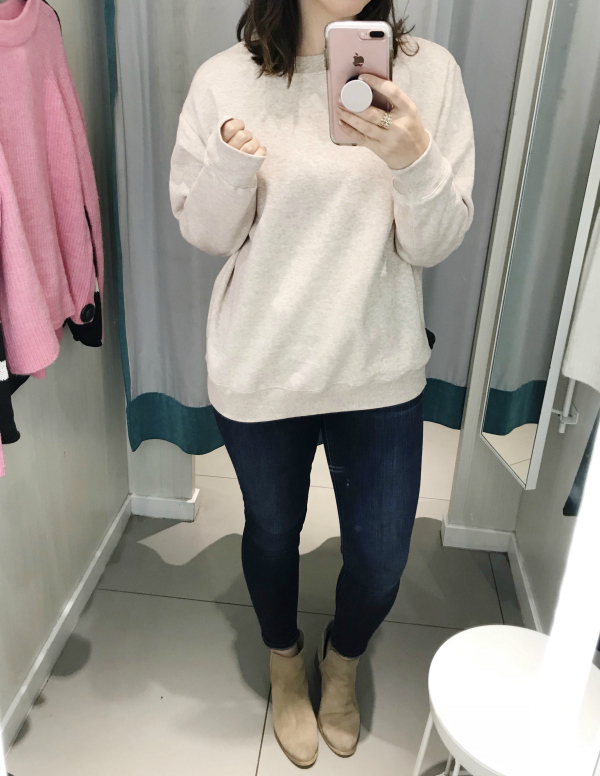 I tried this sweater on in a size medium and I loved the fit. It's also under $20! 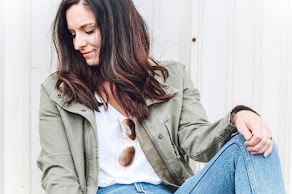 Yay for style on a budget! I couldn't find this exact sweater online but this one was only $10 in the store! 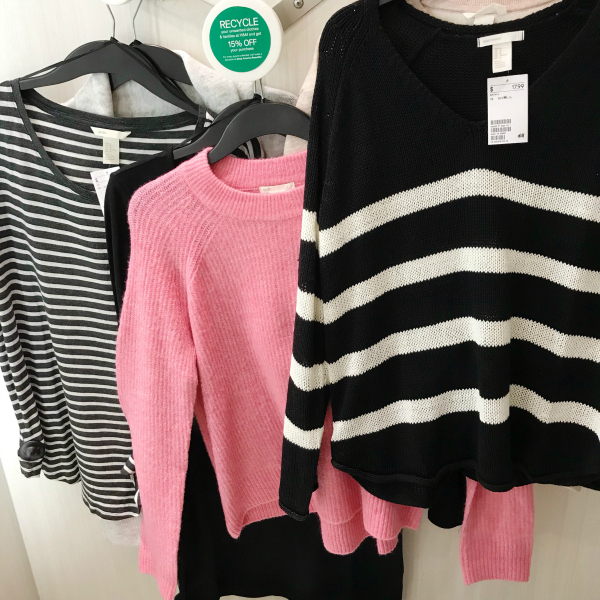 H&M is always my go-to store to find great sweaters for amazing prices. I pretty much always get a size medium in their sweaters (unless they run super oversized). I love a loose fitting sweater! Who doesn't love a comfy sweatshirt?! I have picked up a few this season and I need this one as well. I love the length and the soft fabric. I'm wearing this sweatshirt in a size medium. 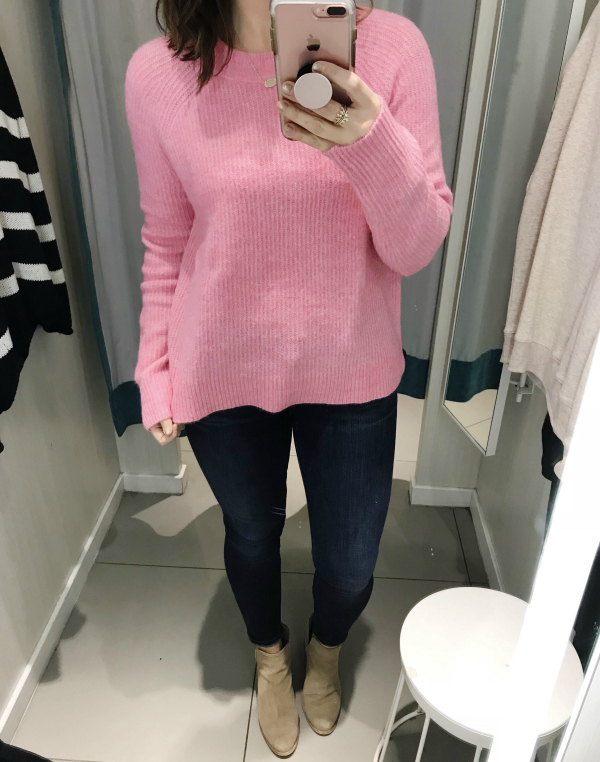 This sweater was my favorite try on! The fabric was so soft and I love the off the shoulder style! 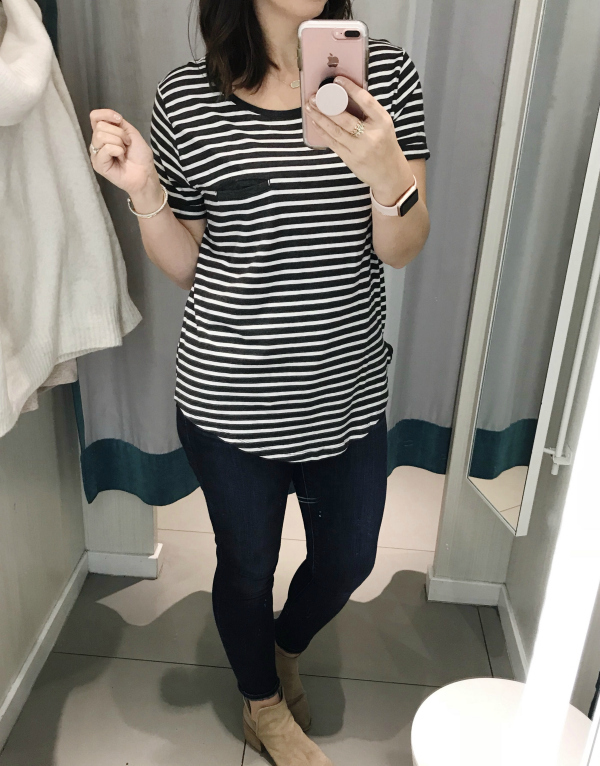 I tried on a size medium and I love the fit. This pretty cream color isn't online but it comes in four other colors online. I think I'm going to get it in gray! 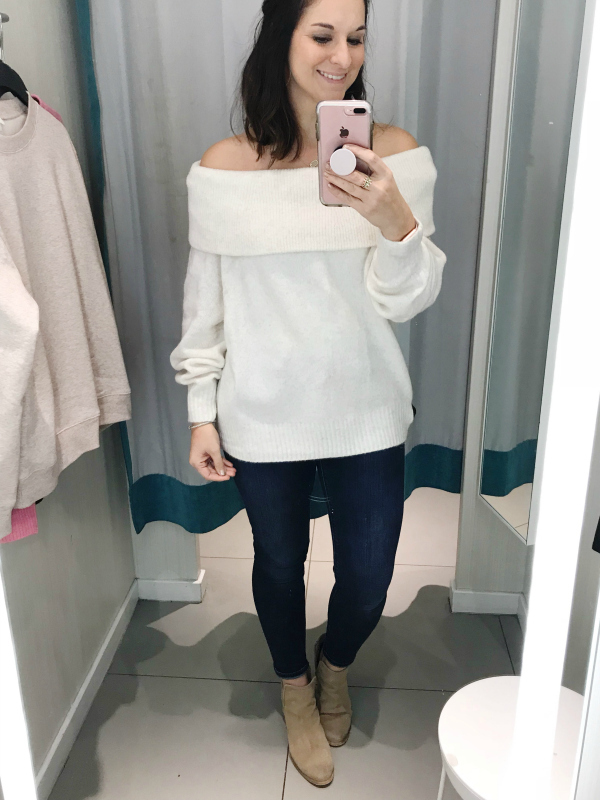 I would style this pretty sweater with black jeans and statement earrings for an easy, put together look. I bought this tee a few weeks ago and it's my current favorite tee! The jersey fabric is so soft and it's an easy basic that you will constantly reach for. I got it in a size medium but it does run true to size if you prefer a more fitted tee. If you don't already have a long sleeve black dress in your wardrobe then you need one! It's such a great base to layer with cardigans and vests this time of year. This one is a more fitted style so if you want a loose fit I would recommend sizing up one to two sizes. I tried this dress on in a large and I loved the fit. This cardigan is also a must have! It's so soft and a closet staple as well. 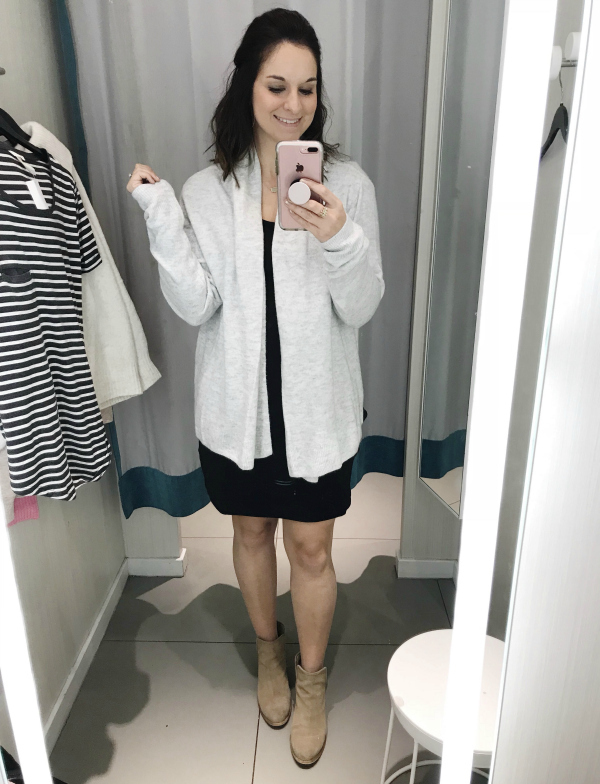 I tried on a medium in the cardigan and I loved how cozy it was! So fun!!! All of these finds are so cute!! I loveeee the off the shoulder sweater.